As we know sending thousands of links to a new site can be harmful if done in correctly, this is were my service comes in. If we use article sites with your link in and then blast them with 1000+ of live blog links it gives the same link juice but in a much safer away. Infact its a much better way of gaining backlinks as the backlinks you recieve will be relevant to your niche which again will help improve your serps rankings with manual action. 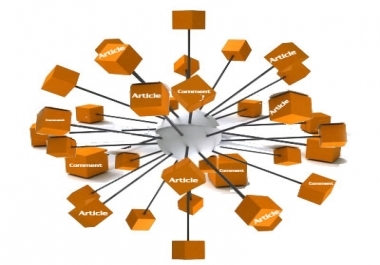 Create an article then spin it for submit to 20 article sites and Blast 5000+ Live Blog comments to the articles to give you the best link wheel is ranked 5 out of 5. Based on 12 user reviews.